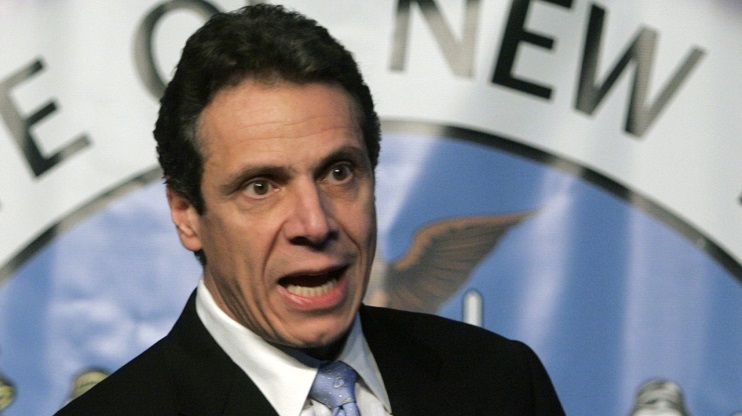 New York officials also want to increase commonwealth Medicare and Medicaid funding levels. (Bloomberg) — New York Gov. Andrew Cuomo said his administration will help Puerto Rico find Medicaid and Medicare savings as the island seeks relief from its debt crisis. See also: Lew warns that Puerto Rico crisis could get costly for U.S. The plan, announced during Cuomo’s two-day trip to the U.S. commonwealth that ends Tuesday, is meant to help Puerto Rico manage its costly health care programs. The governor said New York officials will also press the federal government to give Puerto Rico more equal treatment in health care funding compared with states. New York is home to more than 700,000 Puerto Ricans, about twice as many as in San Juan. Cuomo was joined by New York City Council Speaker Melissa Mark-Viverito and state Attorney General Eric Schneiderman. The three Democrats are seeking to bolster their standing among New York’s increasingly powerful Puerto Rican community as the island struggles to meet the demands of bondholders. Puerto Rico and its agencies racked up $72 billion in debt by borrowing to fix budget shortfalls and delay payments. On Aug. 3, the commonwealth defaulted when one of its agencies failed to pay investors $58 million of principal and interest after lawmakers didn’t allocate the funds because of a budget crunch. The agency also skipped an interest payment due Sept. 1. Cuomo said New York can help by showing Puerto Rican officials how the Empire State was able to cut costs for Medicare and Medicaid. Since taking office in 2011, Cuomo has overhauled the programs and is moving them toward a managed-care model that will better coincide with the changes brought on by the Patient Protection and Affordable Care Act (PPACA). In Puerto Rico, almost 68 percent of residents receive health care through the U.S. government, and the island gets less federal cash support than the states, according to Cuomo. New York received $8 billion from the U.S. government last year for its cost-cutting efforts, and Cuomo said he believes he can help deliver the same to Puerto Rico. “We look forward to collaborating with our colleagues in New York as we seek to gain equitable treatment from the federal government and modernize our health care system,” Puerto Rico Gov. Garcia Padilla said in the statement from Cuomo’s office. —With assistance from Henry Goldman and Michelle Kaske in New York.